SONG presents our 40th Anniversary Show: West Side Story. If you are aged between 10 to 20 and interested in taking part in this production our talk up is on 2nd September at St. John's Church, Ainsdale, between 2 and 4pm. 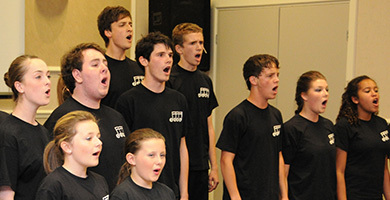 CELEBRATE SONG....a Summer Show/Review presented by SONG at Greenbank High School, Southport on Saturday 14th July 2018. This was my first occasion to see SONG in action, and I do hope it won’t be my last! I have said this before and I will say it again, there are occasions in life when we all think “Oh I wish I was younger”, this was one of those occasions! When you see such talented young people, performing and enjoying their selves so much on stage – so jealous! 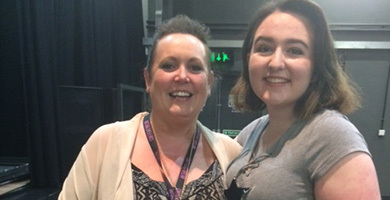 Georgia Harding (pictured here with with Hilary Thomson our Chair of SONG) is the latest recipient of the Brenda Whelan Award. 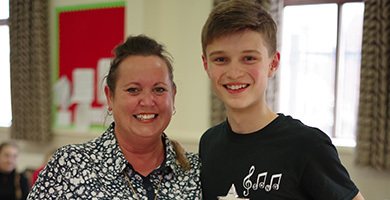 The Award Is given in memory of Brenda, a past Chair of SONG who never wavered in her support of the group and worked with us backstage for many years until her death. 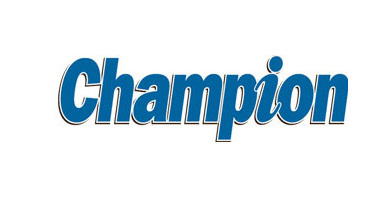 Champion Review for All Shook Up - A CAST of 30 talented youngsters from ages 10 to 18 plus a 12 piece band under the direction of Charles Moss made this S.0.N.G. production a big family show. Matthew Higginson showed himself to be a self-assured and accomplished stage performer in the star role of Chad, leader of a teenage rebellion against the local adults who want to outlaw loud music and ‘public necking’. • Karen Edge - Best Director of a Youth Musical Production for The Addams Family. • Lucas Frost - Best Male actor in a Youth Production as Gomez in the Addams Family. • Mattie Higginson - Most Entertaining/Comedy Male Actor in a Youth Production as Uncle Fester in The Addams Family. The nominations for the prestigious NODA Awards are now in and we congratulate them all and wish them every success at the Awards Evening in Southport in February. Everyone deserves our congratulations and the whole Company can be very proud of their success. 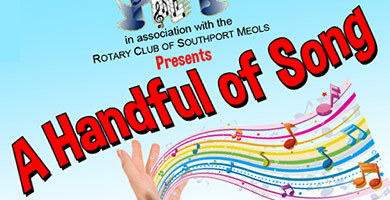 The SONG cast welcomed the President and President-elect of Southport Meols Rotary Club, Ged and Lisa Whittle, to a recent rehearsal of “All Shook Up”. Ged and Lisa came to present a cheque to SONG for £445, representing funds raised on our behalf from bar and raffle proceeds at our last production “Beauty and the Beast Jr”. What a lovely evening we had watching SONG’s production of “Beauty and the Beast” which brought back memories of family holidays in Disney World Florida and watching the latest version of the live action film starring Emma Watson and Dan Stevens with my grandchildren. 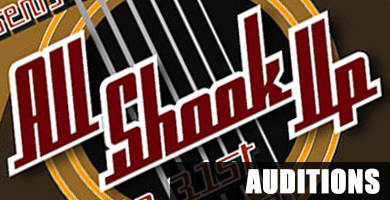 SONG Southport's Award Winning musical theatre group for young people is about to embark on an exciting NEW production - ALL SHOOK UP. This hit musical is inspired and features songs by Elvis Presley. It takes place in 1955 somewhere in middle America, where one girl's dream and a surprise visit from a mysterious leather-jacked guitar-playing stranger help a small town to discover the magic of romance and the power of rock n roll. The Addams family has music and lyrics written by Andrew Lipper from a book by Marshall Brickman and Rick Elice and is based on characters created by Charles Addams from the well-known television series and films of the same name. This was a very entertaining and enjoyable production from SONG, directed by Karen Edge with musical direction by Charles Moss and choreography from Victoria Harrocks. The young cast who were probably too young to have seen the original television show, entertained us with excellent portrayals of the characters that we know and love with a maturity that belied their age. Amanda Murphy (pictured here with with Karen Edge our Chair of SONG) is the latest recipient of the Brenda Whelan Award. 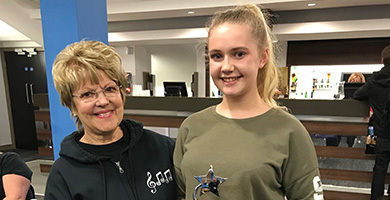 It is awarded by the SONG committee on an annual basis to a member of the group who has shown exceptional dedication, commitment and teamwork over the year and Amanda fully deserves this accolade. SONG is pleased to announce that the recipient of the Brenda Whelan trophy this year is Harry Gascoigne. The award is in memory of Brenda Whelan, a well loved former chairman and committee member of our group who worked hard and supported SONG in many ways until her death. What a wonderful evening we had watching SONG’S production “Many Sides of Song”. We were treated to a program in three parts which was full of splendid singing, great choreography performed with precision by the cast and some very skillful comedy acting. The whole cast appeared to be enjoying themselves immensely putting lots of energy and enthusiasm into their performances. SONG won Best Ensemble for "A Handful of SONG" at the NODA North West Awards Evening in Manchester last Saturday. The pictures below are of three SONG members who attended the Awards and who had been nominated in different categories. 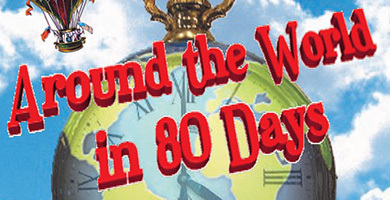 Around the World in 80 days was adapted by Phil Willmott from Jules Verne's classic adventure story of the same name with Music by Annemarie Lewis Thomas. The wealthy Phileas Fogg wagers his life’s fortune that he can circumnavigate the globe in just 80 days after an argument with other members of his Pall Mall club, so he sets off with a hardback book of international transport timetables and his valet, former circus performer French man Passepartout. 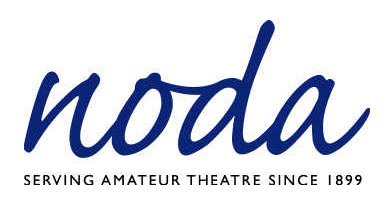 SONG are honoured to receive a further four nominations for NODA Youth awards. These nominations are for the North West region to be held in Manchester at end April. SONG held a fantastic social event we at St. Johns Church Hall last Saturday evening, 6th February 2016, as a fundraiser. 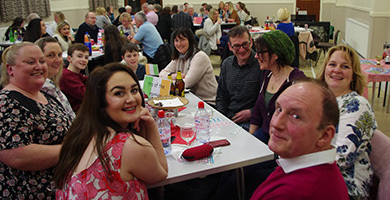 Italian supper, Irish bingo and Around the World Quiz - the social event was attended by 80 members, parents and friends. 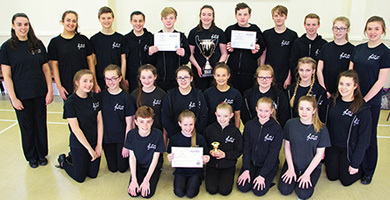 SONG's NODA Success - Another 5 To Celebrate! 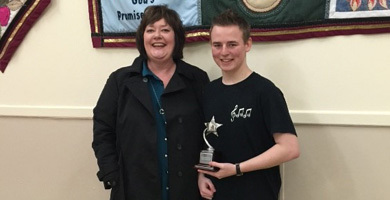 SONG's success at the NODA North West District 6 Awards in Standish on 23rd January. We were nominated in 17 categories and we came away with five wins. Layla Carlin won Best Actor in a Youth Musical for her role as Dorothy in THE WIZ. Matthew Higginson is the recipient of the first Brenda Whelan Achievement Award. Brenda, who died last year, had been involved with our group for many, many years. A former chairman and a committee member, she had, since then, worked hard for SONG in many backstage roles until her death. Great News! More NODA Nominations! What fabulous recognition of the talent within our group. Well done all. The Awards Evening is to be held on 23rd January in Standish. 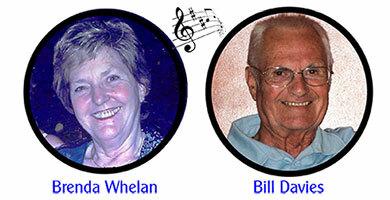 SONG, Southport Dramatic Club and Southport Spotlights Musical Theatre Society are proud to present "A Musical Tribute In Memory Of Brenda And Bill"
Following auditions on 20th September, SONG is pleased to announce the Company List for "Around the World in Eighty Days." 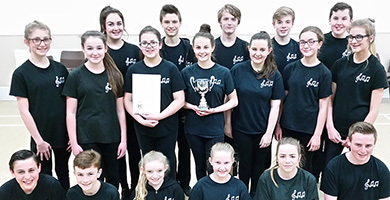 SONG Southport's Award Winning musical theatre group for young people is about to embark on a fantastic adventure, and would like you to join them. Each Sunday afternoon between October 2015 and April 2016 you can be part of a team of actors, dances and singers working alongside a professional director, choreographer and musicians to rehearse Phil Wilmott's lively adaptation of the classic Jules Verne story, "Around the World in Eighty Days". Once again SONG have entertained us with a production presented and performed by some very talented young people in the form of a Revue called “A Handful of Song” which was staged in three very different parts. In the first part they gave us something a little different with a piece of drama called “Tales of Arabia” written and directed by Paul Wilkinson. 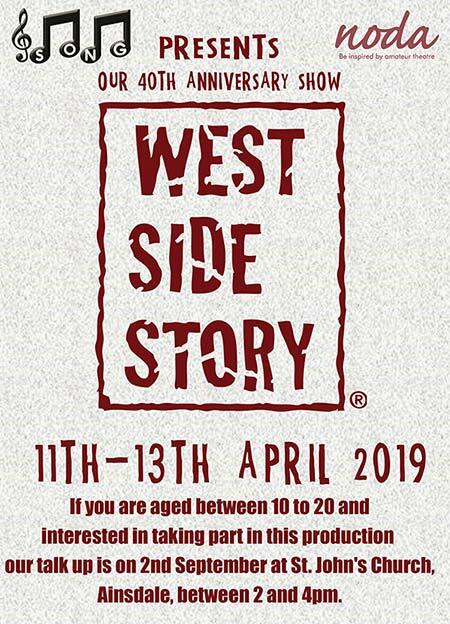 Interested in auditioning to join the SONG Company for AROUND THE WORLD IN EIGHTY DAYS and aged between 10 and 18 years of age? Come and find out more at the TALK UP AND REGISTRATION at ST JOHN'S CHURCH HALL, AINSDALE on SUNDAY 6th September 1pm to 3pm. 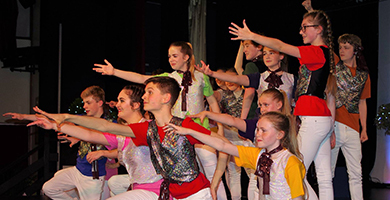 Stephen Hughes Alty, our Director for JOSEPH and the Amazing Technicolor Dreamcoat received the award for Best Director of a Youth Musical Production at the NODA North West Awards Evening held in Manchester in May. 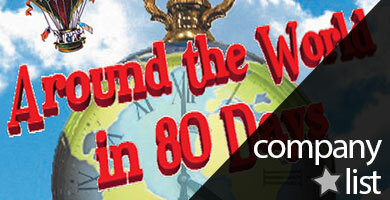 SONG are proud and excited to announce their next major production: "AROUND THE WORLD IN EIGHTY DAYS", to be performed at The Atkinson, Lord Street, Southport from 7th to 9th April 2016. We will advise you of ticket prices and availability as soon as we can. 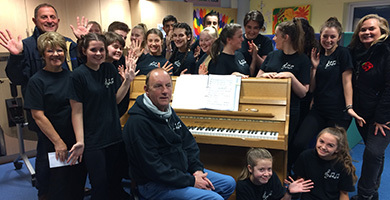 "A HANDFUL OF SONG" will be performed at Greenbank Academy Theatre, Hastings Road, Southport, on Saturday, 11th July 2015.